I was wondering whether there is any chance to see a TME module for the very popular HeroLab character creation software. I've been using HeroLab a lot and think it is a very fine piece of software. Recently someone even entered TSR's rpg "Alternity" as an option and I just asked myself if there is any possibility that OutlandArts might see to it that TME becomes available as well. Whoa, I just spent some time over at the hero labs site and looked at their various game system panel screen shots. Kinda a neat idea. I've often wondered how it would be possible to make a very detailed character generation engine, but I am not the most high-tech person and it seems daunting. We do, however, have an NPC generator for TME characters created by Nolinquisitor and found night here. You'd need to add in some details and change some stats based on caste and implants and mutations, but it's a great thing! That said, the hero labs Authoring Kit might be what we need to create an Outland System PC generator. I wonder how many people would use it and how tough it is to figure out. 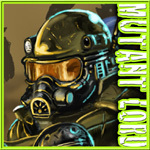 Hey Mutant Lord I am curious if someone knew how to work HeroLab's Authoring kit would you allow for them to distribute the datafiles to members?